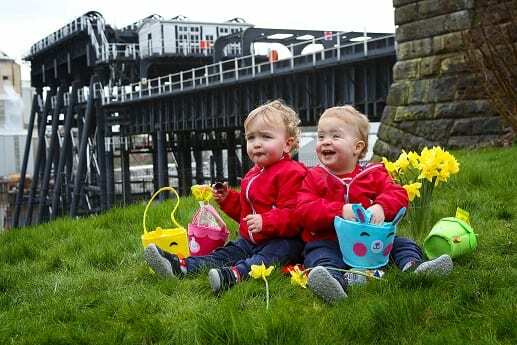 EASTER will kick off in style at Anderton Boat Lift’s free Easter Eggstravangza, taking place between Good Friday on April 19 to Easter Monday, April 22. Located near Northwich, Cheshire, this much-anticipated annual event will feature free Easter Egg Treasure Hunts for children throughout the day between 9.30am-4pm, with prizes. Children will also have the chance to ‘meet and greet’ some special cartoon characters as well as having the opportunity to enjoy free arts and crafts in the Lift View Marquee. For those children with excess energy, there is also the fun of the Lift’s £50,000 bespoke play area, designed to resemble the Lift. Entry to the Anderton Boat Lift is free for adults and children, as is the chance to enjoy the hands-on interactive exhibition explaining the interesting history of the Lift and the well-stocked shop. Lunch and snacks will be available at the tree-top Coffee Shop which sells a varied selection of fresh and affordable food and drinks. The only cost for visitors is if they wish to enjoy the thrill of one of the boat trips. Visitors can experience how it feels to be magically transported through the Lift by this piece of high Victorian engineering. 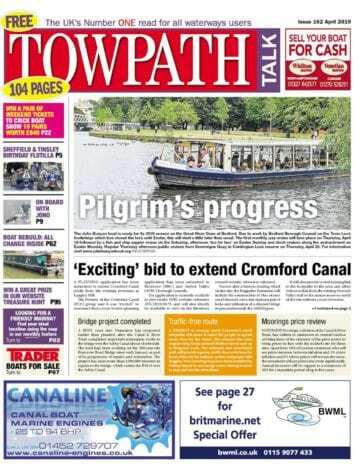 Alternatively, they can opt for a trip along the picturesque River Weaver where they can learn about the unique industrial heritage of Northwich, a town that has made its living on salt for more than 2000 years. Combined boat trip tickets are available. There is no cost for children aged under five years old and there are reduced price tickets for under 16-year-olds. To avoid disappointment, booking in advance is advisable by calling 01606 786 777. Timothy Turner, Anderton Boat Lift’s general manager, said: “Every year, visitors of all ages, tell us how much they have enjoyed coming to the Lift’s fun Easter Eggstravaganza. Many also book the special boat trips, which are enjoyed by all ages. Next Post:Nipping Floating Pennywort in the bud!